Productivity is en vogue. A quick search reveals a plethora of pointers about increasing one's productivity. Whether you're interested in getting things done, cultivating zen habits, or becoming a highly effective person, there's a system and list of tips just for you. Though the sheer amount of advice can be overwhelming at times, after you read enough you start to notice themes and commonalities. One popular tip that particularly resonates with me is to determine your Most Important Tasks for the day and tackle them first, focusing your energy on doing them really well. It's a lesson I was taught early in life by my mother, a patient piano teacher who always insisted I was learning much more than how to play music. During my daily 30-minute practice sessions I had a tendency to play the familiar, easier music first, postponing new pieces (particularly those with lots of sharps or flats) to the end of the week. Of course I would find myself stressed-out, frantically trying to learn the most difficult works the day before my lesson. After a number of Saturday mornings with me sitting ill-prepared on the piano bench, my mother took the opportunity to offer some guidance. If I spent the first 15 minutes each day working on the new pieces, she said, chipping away at each section, by the end of the week I would have them down, while still having plenty of time for the easier music. It's a simple lesson in setting priorities, but one that is easy to ignore. With the onslaught of emails, meetings, and never-ending "emergencies," it's easy to postpone your most important, most challenging work until later. This prolonging increases stress, and unfortunately when you do finally get to the tasks, you often lack the energy and focus needed to do your very best. In my development of GQueues I've tried to instill the practice of doing my most important work first. I pick one or two tasks for the day that are directly connected to my larger goals for the business. I set about those right away, knowing that while I will be pulled in many directions throughout the day, my priorities are clear. Though I don't always accomplish everything I intend, I usually make much more conscious decisions about how I'm spending my time. Although I no longer take music lessons, the piano continues to teach me and help with balance in my life. 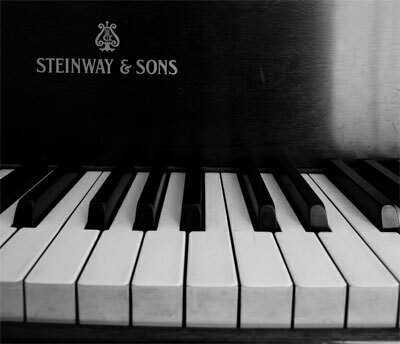 While practicing was a chore growing up, tickling the ivories has become a particular source of rejuvenation the last few years while running my own business. During long days of development I often take 15-minute piano breaks from intensely focused periods of coding (usually 1-2 hours). The rhythmic respites provide a much needed shift in mental exercise and leave me feeling refreshed for another work session. When I decide I'm too busy for breaks, I actually get less done in the long run, as my productivity wanes when I stretch myself too far. Focused, uninterrupted periods of work followed by short breaks keep me productive while reducing stress and helping me reach my goals. And that's music to my ears.